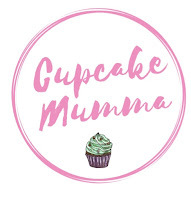 Cupcake Mumma: Good Morning World! Well, that was gross...Anyway, despite all of the above I have woken up in a good mood. Sure my anxiety has reared its ugly head and I seem to be feeding off my nerves but I understand all I can do is wait. And pray perhaps, I do like a good chat with The Man upstairs. I hope you all had a lovely weekend? Myself and the children hopped in the car with Mother to stay at hers for the night followed closely by The Man on his temperamental little bike. We went over to celebrate my brother's birthday, the big 2-1. He actually spent most of his time at his desk applying for jobs now his university spell has come to an end. I hope he gets one soon. I ate too much rubbish, which I paid for last night by feeling pretty ill! The Man made a roast dinner which I polished off settling down with a nice hot chocolate and The IT Crowd (again) before bed. It was nice to see everyone. The talk of our impending nuptials was the hot topic but I think about it so much I decided to let everyone else chat about their wedding outfits and what not while I poked my head in the fridge and started scoffing my vegan cheesecake. I will leave you with some photos. I'm happy to say I got to go out alone which is rare but lovely. I'm still getting used to the odd look you get when walking around with a brick of a camera taking photos of the less obvious things like chains and seaweed!